Around and around the No Man's Sky universe goes. Many players have wondered what happens when you finally reach the center of the universe in No Man’s Sky. After spending countless hours grinding in the game, one player spoiled the ending… and it’s actually a shocking twist, considering the buildup of hype that has always surrounded the game. We briefly covered the strange ending to No Man’s Sky in the past, but it bears mentioning again. When you reach the center of the galaxy, you proceed to go through a supermassive black hole. Waiting for you at the end of that black hole is an undiscovered galaxy residing in another dimension. You become forcefully propelled through this black hole, and crash-land on the mysterious planet. When you wake up, you’re right back where you started at the beginning of the game, forced to once more repair your ship. SIDE NOTE: The ending of No Man's Sky reminds us of the ending to Stephen King’s “Dark Tower” series, with its infinite cycling of universes. 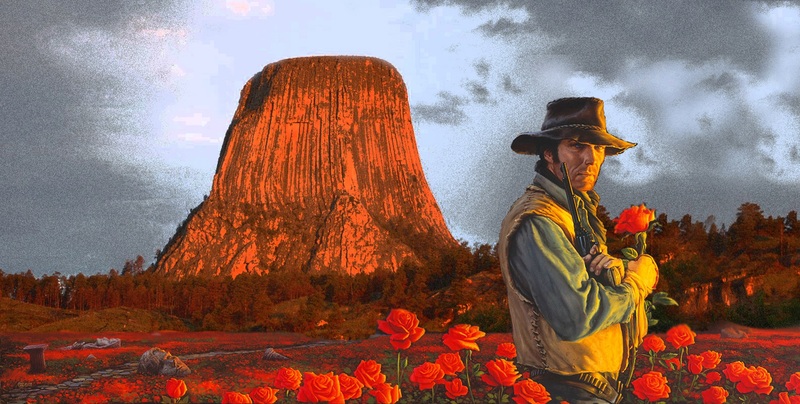 To quote Roland Deschain from one our favorite series of books, “all things serve the beam.” Hey Hello Games, we know there's a Dark Tower movie coming, but can you pretty please make us a Dark Tower game? Thankee-sai!